I would like to begin with a disclaimer. These are all just my thoughts post match and in no way a professional analysis. It was the hype that ruined it all. After the Mayweather-PacMan fight yesterday, Filipinos mourned the loss of Filipino boxing champ via unanimous decision. Of course, being the social media capital of the world (or close to it), netizens took their frustrations out in social media, poking fun at Mayweather’s game plan of dodging Manny’s punches and running around the ring to evade Manny’s attempts to corner him. Technically speaking though, clinching is legal and there’s nothing in the rule book that states that a boxer is required to stay put and slug it out with his opponent. In short, Mayweather played it smart. He used strategy and used every advantage he had over Manny. He used his height and reach advantage to sneak in punches against the People’s champ and easily avoid his counter punches. He used the clinch to buy time and make Manny lose momentum. In Filipino, may konting gulang. But not enough to say that he didn’t win fair and square. Floyd won the fight, fair and square. 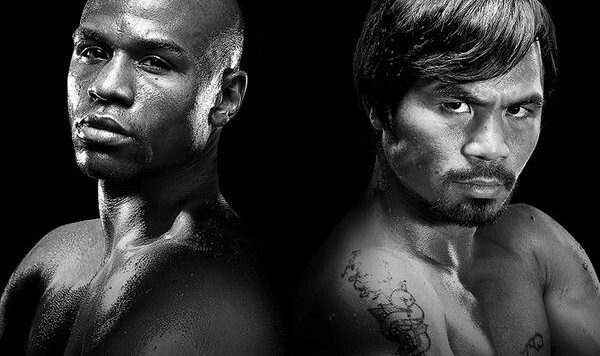 And if fans watched him in his previous matches, they would not expect any other game plan from Mayweather. He has always been very cerebral and calculating, so much so that he screens his opponents even before he agrees to a match, gauging their ability against his in order to determine whether or not they are a serious threat to his undefeated record. The negotiations bogged down five years ago because Floyd kept dodging Manny at the peak of his career. But he kept the fans excited by building the rivalry between them through constant trash talking, social media bashing, and it worked. After Manny’s loss to Marquez, Floyd understood that Manny’s skills were not as before and that made him a viable opponent. Understand, that the Manny of 2010 was far different from the Manny of today. Let’s face it. Age has a way of catching up with even the most extraordinary of athletes and Manny is no exception. Floyd is going through the same thing. He understands that and he has used his calculating brain to ensure that he will be able to spend his retirement in luxury. Thus, the MayPac bout. Saying that fans were disappointed over the match would be an understatement. Manny explained that he had a nasty shoulder injury but that’s just one factor in the match. As a fan, I knew that he was totally bummed that Floyd did not engage. He was bummed that he disappointed fans who paid big bucks to buy tickets to the Battle for Greatness, for the fans who purchased Pay per View from Showtime and HBO and countless providers all over the world. But it takes two to tango and Manny’s injury was another setback that prevented a more explosive match. A match that audiences deserved. So, what’s the worst part of it all? Unfortunately, its not that Manny lost. There was a huge chance for that happening from the beginning. Its not that he did not try because come on, even the most cynical of sports analysts saw how he tried to go after Mayweather at every opportunity. It was the fact that the match that was expected to revive the sport, may have been the bout that killed it. The match showed that the promoters cared more about the money than the fans and its hard to bounce back from that type of betrayal, especially after these same fans stuck to boxing loyally after its steady decline (due to MMA). Its not Manny’s fault. Nor was it Floyd’s (because he never pretended otherwise that it was all a business to him). Its because the sport lost fighters that truly cared about the fans. And even if there still are (like Manny), their good intentions are still being overwhelmed by the business side of things where ticket sales are still the priority. Its a sad, sad day for boxing indeed. Fans could only hope and pray for a return of the glory days with Ali, Leonard, Holyfield, Tyson, Jones and the like. One can always hope.